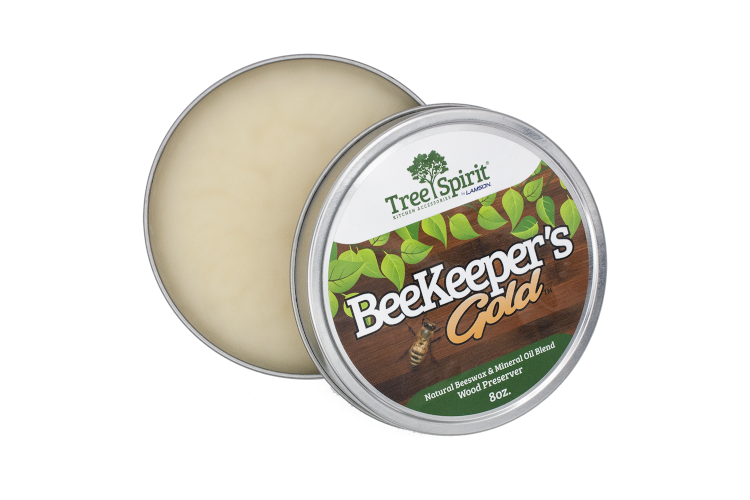 This product is a special blend of Natural Bees Wax and Mineral Oil which can be used to maintain all natural wooden products including salad bowls, cutting boards, butcher block counters and all other kinds of natural wooden-wares. 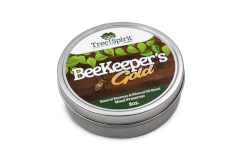 Easy to apply and use and made of all-natural products, Beekeepers Gold is a brilliant way to keep all your natural wood products in good condition. Lamson Goodnow, maker of LamsonSharp™ cutlery, is the oldest cutlery manufacturer in the United States. LamsonGoodnow was established in Shelburne Falls, Massachusetts in 1837, and rapidly became the premier cutler in the United States. In 1999, LamsonGoodnow purchased TreeSpirit™, a company that handcrafts professional-quality hardwood cutting boards, bowls, kitchen utensils, and kitchen care products. Tub size - 8 oz.